An ambient/drone side project of Nicolas, taking his more minimal riffs outside the heavy psychedelic Brussels based band Wavelength and extending them beyond time & space, In-between Wavelength is all about atmospheres, recurring vibes and traveling experiences - looking into the unknown and hearing what's inside our minds. 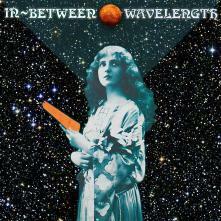 Wavelength started in early 2012 in the wake of the retro & occult rock scene and is still in constant development. Tim and Nicolas started jamming tighter and were quickly followed by Zoé on vocals. With things getting more and more serious and wanting to develop, stretch and compliment things even further they recruited Pablo on drums and Gaylord on bass. Out of this 5-piece band came some ideas and outtakes of more minimal work, things that were not fitting in a more conventional, "rock" band context. Nicolas took those ideas to the next level and shaped them into concrete work, having the possibility to fully go into the experimental, atmospheric and minimal sound. Most of the tracks were recorded here and there at Nicolas's home studio during a period of 2 years, between 2012 and 2014. Having received positive feedback and warm welcomes during that time, it was decided a debut EP of what was to become the In-between Wavelength side project to be featured on the Bulgarian indie / ambient / experimental / electroacoustic / etc music specialist label Mahorka in early 2015. All instruments and sounds performed and recorded by Nicolas. Featured is Tim (of Wavelenth) on the ever incisive guitar parts on track 3. Les paul guitar parts appear on tracks 1 to 3. Electro-harmonics effects used: small stone, holiest grail, big muff, flanger hoax, graphic fuzz and memory man + moog ring modulator on tracks 1 to 3; e-bow + rainstick on track 1. Additional 7-string shekter guitar and boss ME25 pedal on track 3. Track 4 is a combination of electro harmonics flanger hoax, memory man + moog ring modulator only.